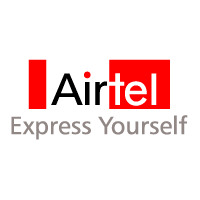 Bharti Airtel is a leading ISP, Mobile, telephony and DTH service provider. Bharti Airtel is giving very good gift this valentine day. You can make FREE Unlimited Airtel to Airtel calls on Fixed Line on Valentine’s Day, i.e 14th Feb 2010. Yes, it include both local and STD calls. So, enjoy free valentine gift from Airtel. I wish Airtel announces some free gift for broadband users also.